Clarification: Originally reported that the Mayor favored the current mayor-council form of government, he suggested adding powers to the elected post. 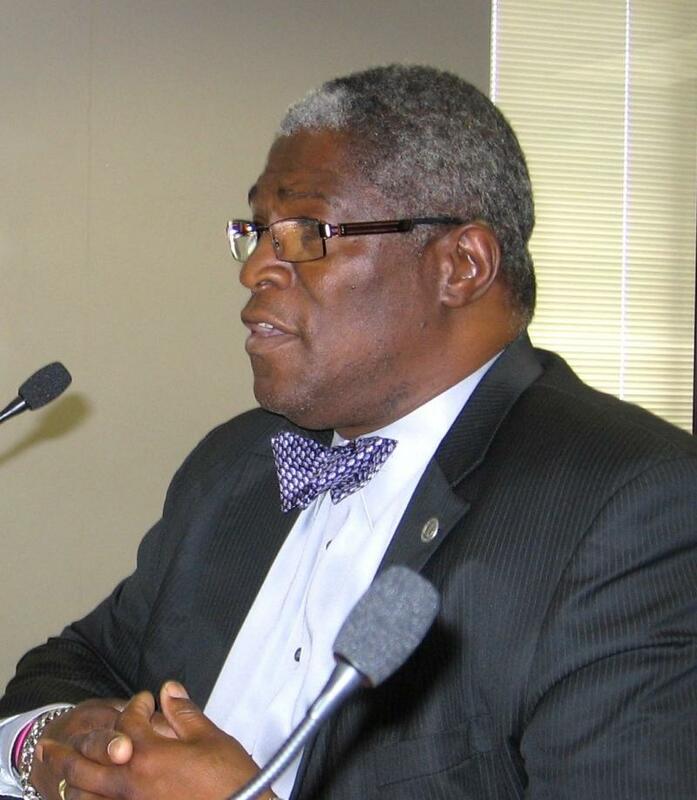 Kansas City Mayor Sly James told members of his hand-picked Charter Review Commission he hopes they keep a type of mayor-council-manager form of local government but strengthen powers of a mayor. The Mayor also said he would listen to suggested change. The mayoral commission looking at how Kansas City should alter its basic operating doctrine hopes to get suggestions from all living ex-mayors, but the Charter Review Commission is having spotty success. Because the outcome is so important to the basic layout of government function, members decided former mayors have a lot of valuable history to describe. The panel is trying to schedule former Mayor Charles Wheeler; former Mayor Richard Berkley is ill and unable to appear in the next week or two. KANSAS CITY, Mo. – KCUR is running a series of conversation with candidates in the race for Kansas City Missouri Mayor. We're asking them about crime and how to balance the city's budget during tough economic times. Maria Carter caught up with the incumbent, Mayor Mark Funkhouser, at his campaign headquarters in the city market. Video frame courtesy of KMBC TV-9. Kansas City, MO – Kansas City mayor Mark Funkhouser made the formal announcement Tuesday: he's running for reelection. Funkhouser's told reporters his administration has put city finances in order, reined in lucrative development TIF deals that cost the city millions and gotten the metal plates off of the streets. nd He says controversies over his board appointments, rebuffs by the council and the lawsuit accusing his wife of discrimination at the office have simply primed him for a rugged campaign. Kansas City, MO – Saving endangered neighborhoods and mortgage-embattled dwellers advanced on multiple fronts in Kansas City. With one in every 650 Missouri homeowners facing foreclosure, Mayor Mark Funkhouser joined the organization Communities Creating Opportunities to ask the Missouri Attorney General to call a temporary moratorium on foreclosures. 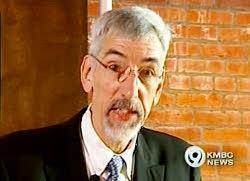 Kansas City Mayor Mark Funkhouser says it will allow time to negotiate between banks and borrowers. 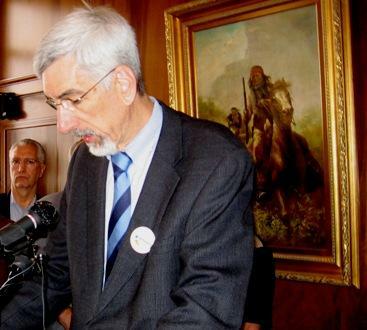 Kansas City, MO – For the second time in as many weeks, Mark Funkhouser has used his veto power - this time on a ballot measure to amend the city charter so council redistricting could possibly wait until after new census ethnic distribution data is released. The mayor says the the US Constitution mandates that redistricting must be done before the spring city election because Northland districts are underrepresented, and that the city will be found in violation of the constitution if it does not correct that situation. Kansas City, MO – The Kansas City, Mo., finance department verified Wednesday that after two years of major spending cuts the city has money in the bank. And the mayor and council members immediately started talking about how much more the city should borrow. The 34.2 million dollars the city has in its general fund today, day one of its new fiscal year, is about 8 percent of this year's budget. That's the largest balance in a decade, and the city's credit rating is also at its highest in ten years. Kansas City, MO – Kansas City will pay a $250,000 deposit to take the Power and Light Building and the block around it off the market while studies continue on creating a new convention hotel on the site. 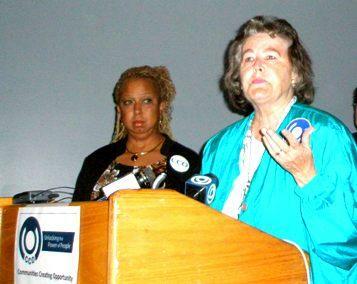 But Mayor Funkhouser still thinks it's a bad idea. The city will lose the quarter of a million it doesn't build a hotel on the property, and the mayor says the "found money" from the restaurant tax could be better spent on neighborhood infrastructure or marketing existing hotels. Kansas City, MO – The Kansas City city council wouldn't go along with Mayor Funkhouser's plan for a large bond issue for infrastructure around schools, but it approved its own 90 million bond issue package Thursday. The bonds the council allocated were approved by the voters in 2004 and 2005, but never actually sold. Councilman Terry Riley characterized the bond package as a local economic stimulus. Kansas City, Mo. – Five Kansas City Councilwomen took the floor Thursday to take Mayor Mark Funkhouser to task for stripping away all of their colleague Jan Marcason's committee positions. The women added their comments to scheduled debate on a shoo-in ordinance taking the next step toward a computer based traffic ticket and municipal court case management system. Finance committee chair Deb Hermann briefly endorsed the ordinance, then turned the discussion to lavish praise for Marcason's ability, hard work and excellent performance. Kansas City, MO – Kansas City Mayor Mark Funkhouser shook up city council committees again Wednesday with the unexpected removal of councilwoman Jan Marcason from all her committee assignments. Until this week, Jan Marcason has served on two of the most powerful city council committees: Finance and Audit and Transportation and Infrastructure. The mayor's memo to the council and the media gave no rationale for stripping Marcason of all her committee duties, but she says she did get a terse explanation in a voicemail message. Kansas City, Mo. – The first phase of Kansas City Mayor Mark Funkhouser's "Schools First" program was sidelined in a council committee meeting yesterday. A number of citizens testified for the infrastructure improvement plan, and the mayor put in his pitch, including that the only expense next year would be $2 million in debt service. "When you're spending $3 to $5 million a year and need to be spending many multiples of that, when you have a $1.6 billion backlog, which is what they tell us we have in sidewalks, you have to start somewhere," says Funkhouser. Kansas City, Mo. – Mayor Mark Funkhouser talked with reporters Wednesday about Kansas City's efforts to save its red light cameras from being banned by an amendment to the transportation bill sponsored by State Senator Jim Lembke. Kansas City, Mo. 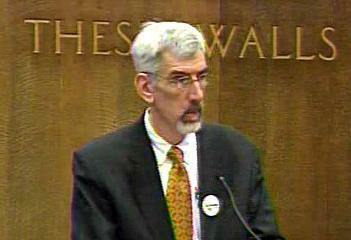 – Mayor Mark Funkhouser saw his plans for an office of school support sent back to committee yesterday. The underlying theme of most objections seemed to be unwillingness to let a vote for a study of creating the office be taken as a vote for the office as conceived by the mayor and the his proposed "schools first" program. 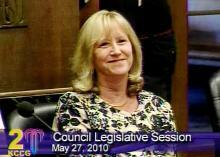 Council member Cindy Circo went so far as to suggest that the main purpose of the office was to enhance the Funkhouser's reelection chances. Kansas City, Mo. 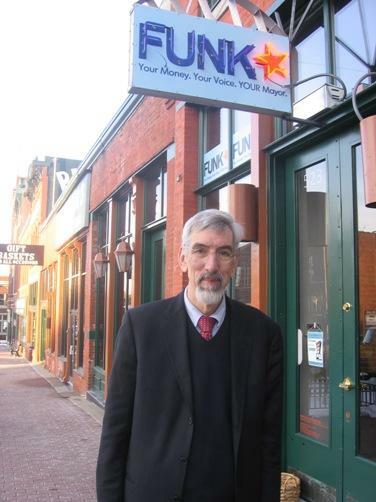 – Mayor Mark Funkhouser got a start on his "schools first" initiative Wednesday. The city council finance and audit committee approved a resolution to designate a School Support and Public Engagement person at City Hall. That person would be responsible for coordinating with all schools and school districts in the city - for example, to coordinate information on snow removal and school closings and to get the word out on recreational activities the city already offers for young people. Kansas City, Mo. 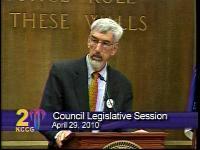 – Mayor Mark Funkhouser will fight efforts to repeal the Kansas City earnings' tax. The mayor has been mum on the issue until now. Hizzoner concedes he has been slow and deliberative deciding his stance, as signature collectors have been gathering support for an earnings tax referendum, statewide. Today he brought members of organized labor and other petition opponents to his office.